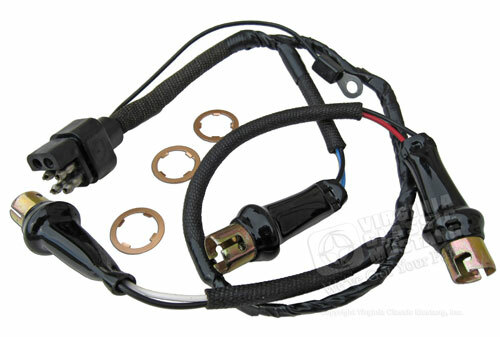 1968 Shelby GT350 and GT500 Tail Lamp Wiring Harness Pigtail. Sold per side. Includes metal socket retainers. This also fits 1965 Thunderbird.